Roger Waters is apparently more for the culture than Travis Scott. The Super Bowl half time show sparked a whole lot of controversy this year. While Maroon 5 is gearing up to take the stage with Travis Scott and Big Boi, the NFL initially had a tough time landing performers for the event. Cardi B turned down the Super Bowl in solidarity with Colin Kaepernick. 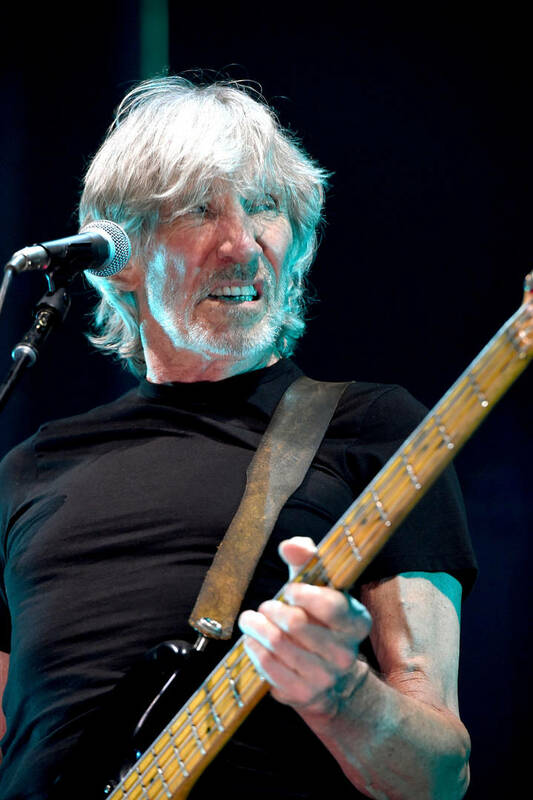 While it's unsure if this year's performers have any way of showing their support for the blackballed quarterback, Pink Floyd's Roger Waters is urging Travis Scott, Big Boi and Maroon 5 to #TakeAKnee during their performance. Roger Waters is showing his support for Kaep and wants the Super Bowl halftime performers to show their solidarity during the show. Waters shared a video on Facebook of his band taking a knee for Colin Kaepernick during a concert. "This is my band taking a knee at the end of a gig in Hartford, Connecticut on Sunday 24th of September 2017. We did it in solidarity with San Francisco Quarterback Colin Kaepernick’s gesture of protest against the endemic racism and often deadly force meted out by police departments across this land," he wrote. "This is my band taking a knee at the end of a gig in Hartford, Connecticut on Sunday 24th of September 2017. We did it in solidarity with San Francisco Quarterback Colin Kaepernick’s gesture of protest against the endemic racism and often deadly force meted out by police departments across this land." Waters explained further that Kaepernick and others who advocate for change like him are the future of America and the world at large. He ended his post by calling upon Maroon 5, Travis Scott and Big Boi to show their support for Kaep even if it means facing a serious amount of backlash from the public. "My colleagues Maroon 5, Travis Scott and Big Boi are performing during the halftime show at the Super-bowl this coming Sunday, I call upon them to “take a knee” on stage in full sight. I call upon them to do it in solidarity with Colin Kaepernick, to do it for every child shot to death on these mean streets, to do it for every bereaved mother and father and brother and sister. My mother used to say to me, “In any situation there is nearly always a right thing to do, just do it.” So, there you go my brothers, you are faced with a choice, I’m not saying it will be easy, all the Presidents men, all the huffers and puffers, will be royally pissed off, but, $#@%’em, I call upon you to do it because it’s the right thing to do and because somewhere inside you know it."